The Project Manager in charge of the Accra sports stadium renovation, Chris Aviah, is confident the project will be completed in time to host the Women’s AFCON later this year. 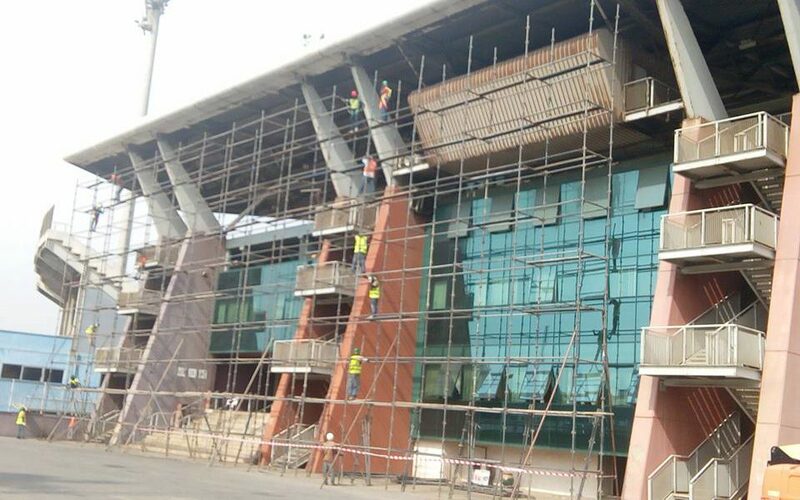 Renovation works at the stadium began in February this year, but there are fears it may not be completed on time for the Women’s AFCON which is just 4 months away. But Chris Aviah estimates work done so far at 70%, and is confident the facility will be ready by middle of October. “The work will be completed on time. I’m estimating somewhere between 60-70% of the work completed so far. We are going to stay on the wok until we complete. “A few months ago you saw the rusted roof and metal railings, but as you can see now we’ve removed all of them,” he said. The Accra Sports Stadium and the Cape Coast Stadium have been identified as the two host stadia for the Women’s AFCON in November.